Administration officials under President Donald Trump raised the idea of separating families at the border one month after his inauguration, a government official told a House panel on Thursday, and health experts who cared for migrant children in U.S. custody warned that the impact on their mental health would be devastating. Cmdr. Jonathan White, a career public health official at the Department of Health and Human Services, also testified that his agency was largely kept out of the loop on changes to immigration enforcement. White, who helped to oversee children's programs at the HHS Office of Refugee Resettlement in 2017 and 2018, said he was perplexed by an uptick in children being referred to federal custody in Trump's first year in office. But when he asked about it, he said he was told there was no new policy to separate families. By April 2018, when the Trump administration implemented its "zero tolerance" immigration policy, an approach that resulted in some 2,700 children separated from the families in a matter of weeks, White said he learned of it watching television. 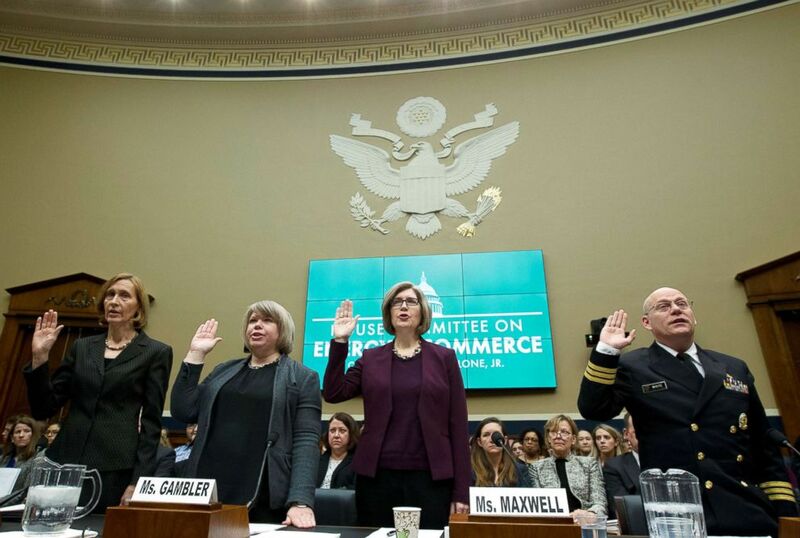 Officials including U.S. Public Health Service Commissioned Corps Commander Jonathan White(right) are sworn in before the House Commerce Oversight and Investigations Subcommittee on Capitol Hill in Washington, Feb. 7, 2019. "On a number of occasions, I and my colleagues made recommendations raising concerns - not only by what that would mean for children - but also what that would mean for the capacity of the program," White told the House Energy and Commerce Committee. When asked what response he was given, White said: "On the occasions that I raised it, I was advised that there was no policy that resulted in the separations of children. That remained the answer that I received during my entire tenure until I left" the HHS Office of Refugee Resettlement. White's testimony could ratchet up the pressure on Homeland Security Secretary Kirstjen Nielsen ahead of her testimony next month. She was scheduled to testify March 5 before the Senate Judiciary Committee and March 6 before the House Homeland Security Committee. A spokeswoman for Nielsen said in response to White's testimony that "there was no policy of separating families." Nielsen has made similar remarks in public, an apparent reference to the fact that zero tolerance and other tough enforcement policies under Trump didn't call specifically to separate all families. But White's testimony and documents recently leaked by Congress suggest that Nielsen and other officials knew ahead of time that hardline immigration enforcement would result in thousands of children separated from family members. An internal December 2017 memo by the Homeland Security Department leaked by Congress confirmed that the administration was aware of the legal implications of separating families, but thought the negative publicity might serve as a deterrent to other migrants. 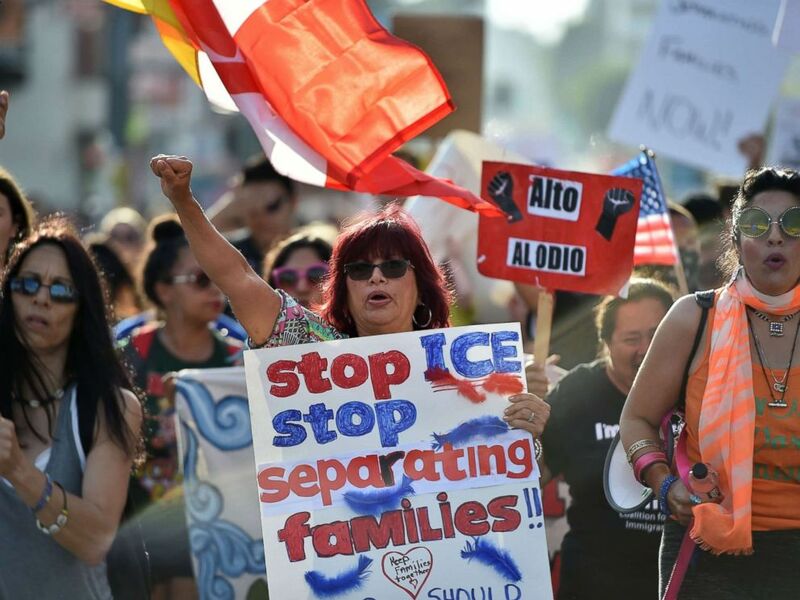 Critics of the U.S. policy which separates children their parents when they cross the border illegally from Mexico protest during a "Families Belong Together March" in downtown Los Angeles, June 14, 2018. Sen. Jeff Merkley and other Democrats on Thursday called for legislation that would close the privately run shelters that care for children in government custody. Merkley of Oregon said the administration's policies were "coming from a very dark and evil place in the heart of this administration and we have to end it in every single form." White said he remembers the issue first proposed much earlier - at a Feb. 14, 2017, meeting at the U.S. Customs and Border Protection agency, attended by representatives from the Justice Department and the Homeland Security Department. At the time, White was a deputy director for children's programs at the HHS Office of Refugee Resettlement, which handles the care of migrant children in U.S. custody, including teens who arrive at the border without family members. White said he expressed concerns with his superiors that separating families might violate legal requirements that the government act in the best interest of a child and overextend government capacity to care for the children. Central American asylum seekers wait as U.S. Border Patrol agents take them into custody, June 12, 2018 near McAllen, Texas. The number of children separated at the border under the Trump administration is unknown. According to court filings, more than 2,700 children were separated from their families as a result of zero tolerance. But a recent investigation by a watchdog office inside HHS, "thousands" more children were likely separated before zero tolerance began. 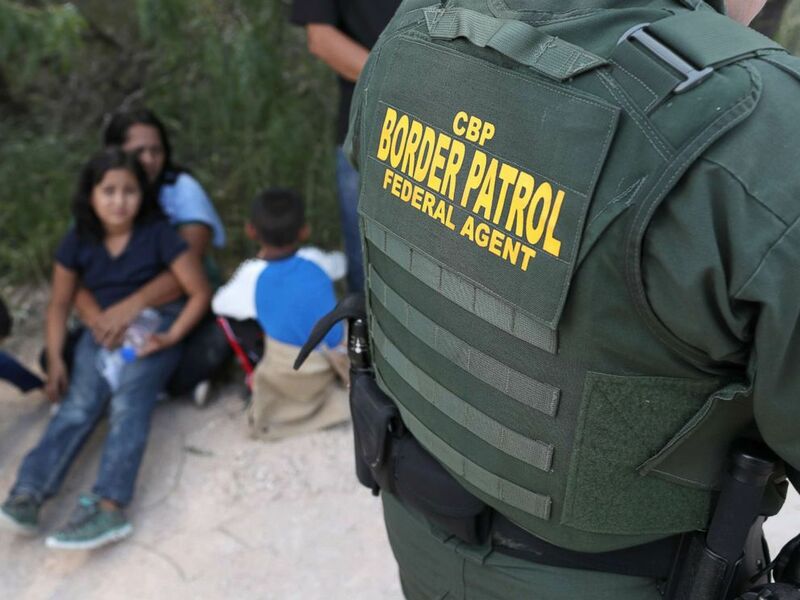 Past administrations separated families at the border but only in rare circumstances such as drug trafficking or other crimes unrelated to trying to illegally cross the border. White told the House committee that had he known about zero tolerance in advance, he would have objected. "Neither I nor any career person in (the HHS Office of Refugee Resettlement) would ever have supported such a policy," he said. ABC producer Quinn Owen contributed to this report.